Orange County CPA John J. Pulles builds a strong understanding of cyber-threat events that made history, and offers a Security Managed Service Program tailored for CPA and accounting operations to combat cyber-attacks. Via increased vigilance I was able to build a stronger understanding by studying cyber-threat events that made history, and by identifying the known and hidden motivations bad guys have to create innovative and effective cyber-attacks and threat campaigns. When it comes to cyber-attacks and threat campaigns, nothing is safe. These are the findings of John J. Pulles, CPA. Pulles, as a CPA, needs to keep client information in his CPA office, such as Social Security numbers, bank accounts, tax IDs, etc., safe. A paradigm shift in technology is occurring with machine learning, a form of artificial intelligence (AI), making its way into the mainstream markets. This technology is included in all manner of products, which is made possible today through the amount of electronic data collected by big tech companies. Cryptocurrency is frequently the requested form of payment with these attacks, the most popular being Bitcoin. Bad guys are driven to develop complex attacks and threat campaigns simply to get into any system it finds (home or office), which includes servers, desktops, tablets, smartphones, and even printers. Once they successfully get into (hack) a system, they install their software onto the servers or spawn scripts that can mine cryptocurrency for them. To combat this, John J Pulles, CPA offers its colleagues and customers a Security Managed Service Program (SMSP), which was developed and tailored for CPA and accounting operations. It is manned by experienced cyber-security professionals and uses AI and machine learning to help protect from cyber-attacks known and unknown. These experts are experienced in HIPAA compliance to insure medical companies follow procedures for data privacy and security provisions to safeguard sensitive medical information. Safeguarding my client’s information is a high priority. 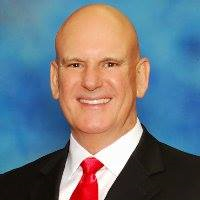 John J. Pulles, CPA works with many small businesses and individuals throughout Southern California. It provides services in business and personal consultation, tax planning, tax preparation, real estate, insurance options, and assistance in organizing and starting up corporations and LLCs. For more information, please call his office at (657) 699-3049, or visit http://www.pullescpa.com. The office is located at 2900 Bristol Street, Suite E202, Costa Mesa, CA 92626. The NALA offers small and medium-sized businesses effective ways to reach customers through new media. As a single-agency source, the NALA helps businesses flourish in their local community. The NALA’s mission is to promote a business’ relevant and newsworthy events and achievements, both online and through traditional media. The information and content in this article are not in conjunction with the views of the NALA. For media inquiries, please call 805.650.6121, ext. 361.